As originally found here by the Daily Report Online, a federal judge ordered Nationwide Mutual Insurance Co. to pay more than $8.1M to the family of an auto accident victim. A jury determined that the insurer acted in bad faith by denying a claim for the death of the deceased woman, Stacey Camacho, who lost her life to a drunk driver. 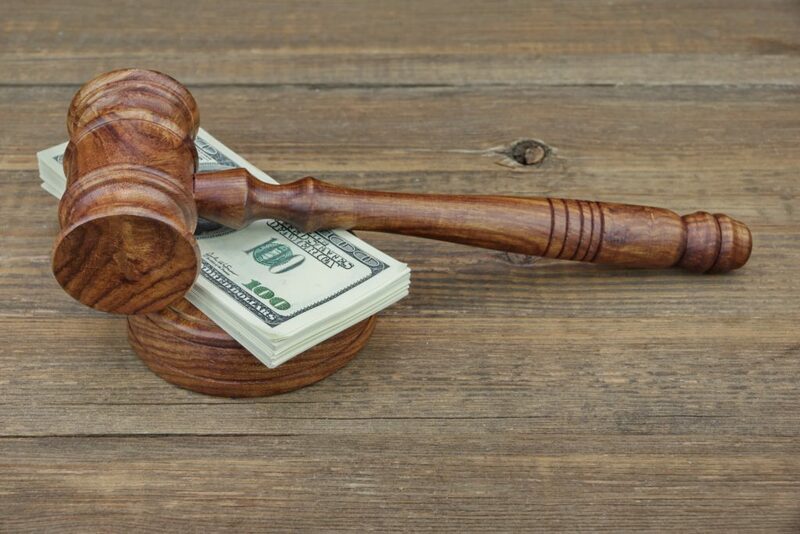 More than $5.7 million of the total sum was awarded in a 2009 trial against the negligent party, and as of the the most recent trial, the court has still yet to determine an awarding for attorney fees because Nationwide did not settle in 2011 for $4.5 million. This lawsuit, which took place in Georgia, was affected by the state’s offer judgment statute which asserts that the party that declines a settlement offer, and then losses in trial by at least 25 percent more than the rejected offer, can be forced to pay for the other party’s attorney fees. The representatives of the plaintiffs noted that this large amount was caused by Nationwide’s bad faith practices and would have only been $100,000 had they agreed to pay on the policy limit rather than insisting upon additional conditions. Though every lawsuit has its own set of circumstances, and not every settlement ends in the millions, it’s still important to recognize that regardless of the size of the insurance company, if they are acting in bad faith, then there are lawyers who are willing to help you fight for the justice you deserve. Million & Million, PLLC are those lawyers. Our experience with bad faith practices and lawsuits means we can help you recover the monies that are rightfully yours. In the underlying case, the 25-year-old mother died as a result of Seung Park slamming his commercial van in Camacho’s Toyota Tercel in 2005. The mother, who was driving with her 2-year-old son at the time, suffered fatal injuries and passed away the following day. Park was sentenced to seven years in prison and five on parole after pleading guilty to vehicular homicide. After the accident, Camacho’s husband and mother/executor retained a lawyer, who sent Nationwide a time-limited, 10-day demand for Park’s $100,000 policy limit, as well as an offer to shield Park from any personal liability from other claims aside from other insurance coverage available to the Camacho family. Nationwide rejected the offer and responded that they would only pay if the family supplied a general release which would force them to repay the insurer if other claims were made. In 2011, after several years of litigation and an initial award of $5.85 million, the family retained new counsel (as their lawyers in the state case were potential witnesses) and pursued the bad faith lawsuit. The pretrial defense filing reasoned that Nationwide had challenged the lawsuit on various grounds, including Park’s negligence as the proximate cause of the damages against him and that the family’s initial lawyer was attempting to instigate a bad faith claim by demanding specific type of releases in order to push the insurer beyond the 10-day demand letter deadline. The defense team also claimed that the bad faith claim was a tort and that the case was truly about a breach of contract. The plaintiff’s legal representatives said there was little discussion aside from a $500,000 offer from Nationwide shortly prior to the trial that was declined. During the trial, the jury had to decide whether Nationwide acted in bad faith or negligently, with damages to be determined at a later date. Because of the intricacies of insurance laws, the plaintiff’s lawyers noted that they were challenged by the need to educate the jury about the processes and procedures of the insurance system and how they play out in a lawsuit. After litigation that lasted a little over one week, the jury found for the plaintiffs. In total, the family was awarded $5,730,000, which was the amount of the state court judgment, plus what was at the time of entry, $2,405,873 in interest. If you are experiencing similar difficulties with your insurance company, then find some relief in knowing that Millin & Millin, PLLC is here to help. We have a track record of going up against the big bad wolf insurance companies and successfully getting fair compensation for our clients. Schedule an appointment today in our McAllen office to find out how we can help you with your claim.